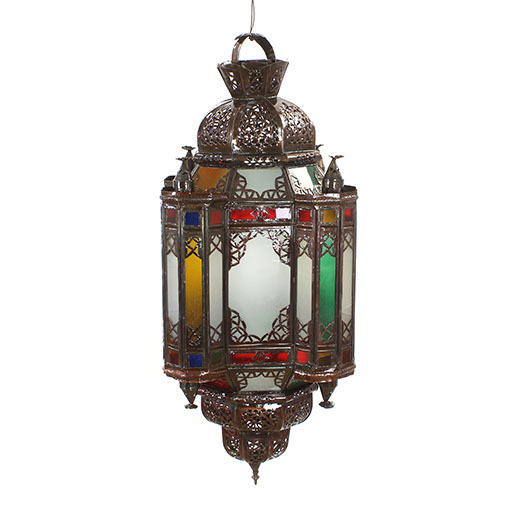 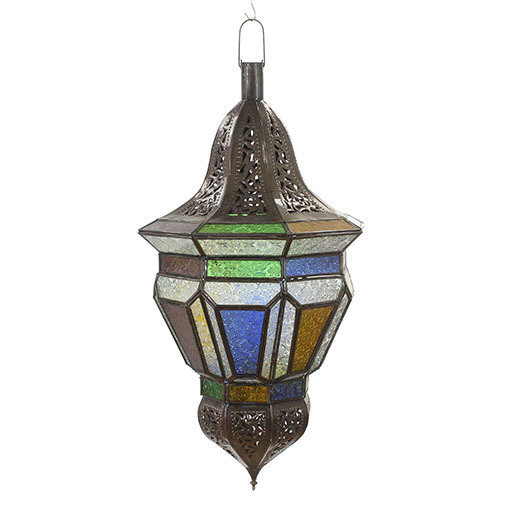 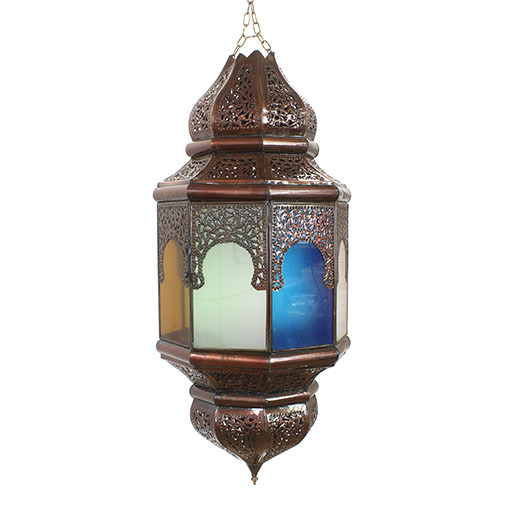 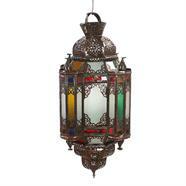 This beautiful pendant style lantern is a handmade piece that features beautiful coloured glass-work and intricate perforated metalwork. 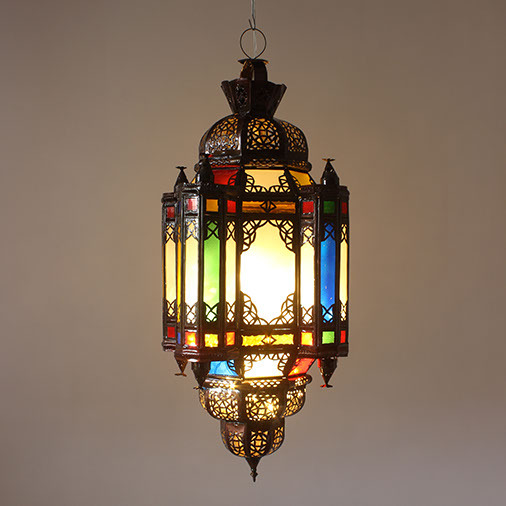 When fitted with a light source, these incredible lanterns create an amazing array of otherworldly colours and patterns. 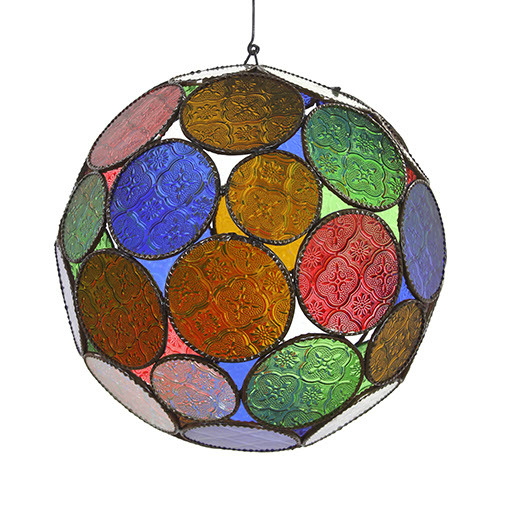 As the light filters through the intricate cutwork patterns and the panels of colourful glass, you will be transported to an enchanting exotic scene. 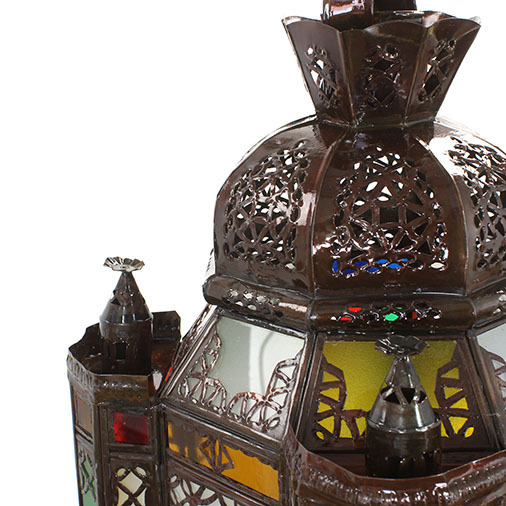 This lantern has a hinged door section for access to the interior. Not supplied with electric fittings.